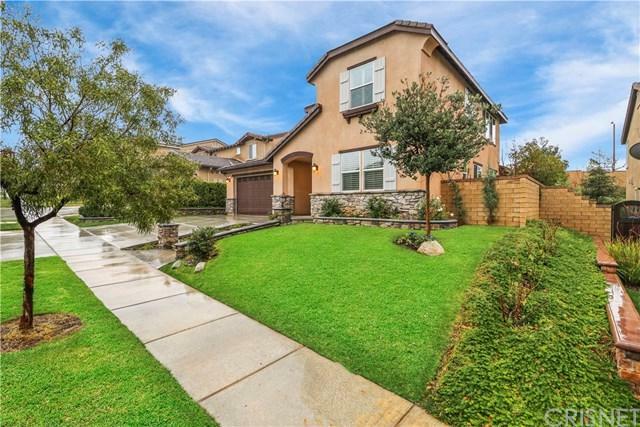 Attention All Santa Clarita River Village Buyers & Agents! Wait Till You See This One Of A Kind Magnificent Super Sharp Showplace With Free 14 Panel Solar & NO MELLO ROOS!! Fantastic Location Within The Sought After River Village Neighborhood! Highly Rated Schools Nearby! Emblem Academy! Saugus High School! Perfect Mint Move In Condition! Right Out Of A Magazine! Built In 2013! Looks & Feels Like It+GGs Still Brand New! Incredible Curb Appeal! True Pride Of Ownership Neighborhood! Over 200k Spent On Upgrades! Wainscoting & 8 Inch Crown Molding! All The Windows Have Wood Shutters! Ceiling Fans In Every Room! 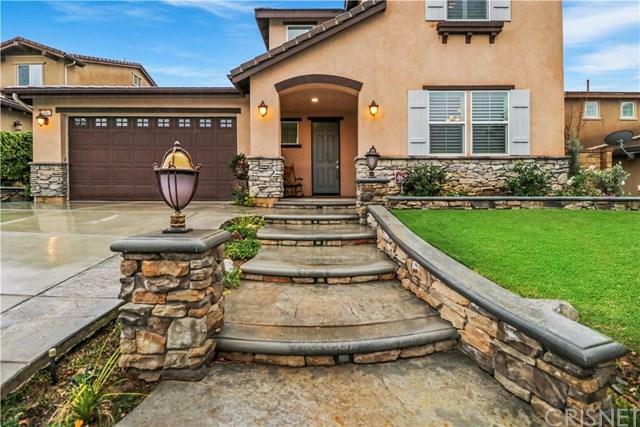 Outstanding Open Floor Plan With Very Rare Downstairs Marvelous Master Suite! Gorgeous Center Island Top Of The Line Quartz Chef+GGs Kitchen With Tons Of Storage & Quartz Backsplash! Fabulous Family Room With Fireplace! Terrific Room Sizes! Amazing Entertainer+GGs Dream Yard With Sparkling Spool & Built In BBQ, Outdoor Fireplace, Huge Gabled Rolled Patio Cover & Elevated Pool Decking! Rare Offering! Garage With Built In Racks & Work Benches! This Home & Location Sells It Self! Owner Paid For Solar!!! Free Solar! NO MELLO ROOS! Sensational River Village Community With Gleaming Pool, Inviting Spa, Playground, BBQ, Club House & More! 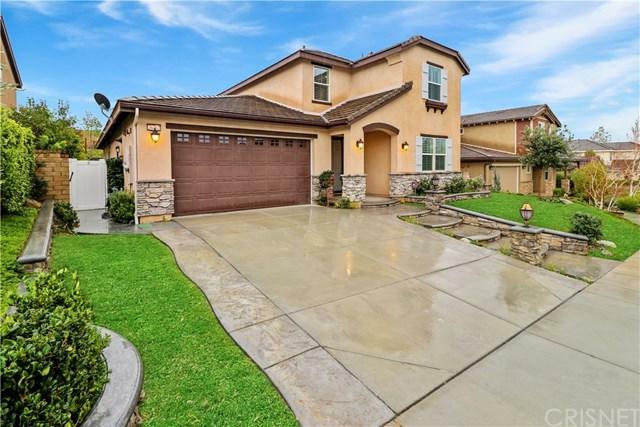 Prime Santa Clarita Location! Close To Everything! Upgrades Throughout! If You Are Seeing Only One Astonishing Home In River Village In The Price Range, Make Sure This Is It! Must See! Standard Sale! Do Not Miss! Santa Clarita Living At Its Best! Sold by Michael Enriquez of Deasy Penner Podley.